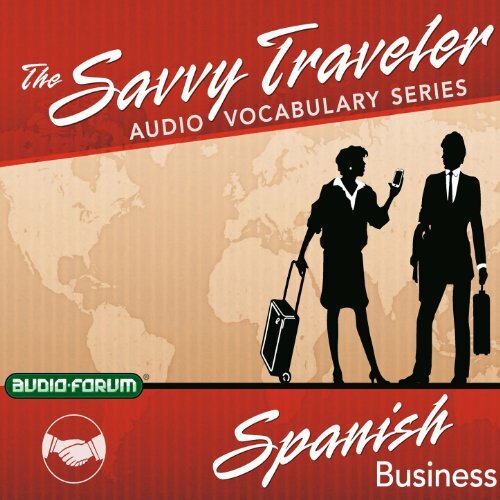 Showing results by author "Audio-Forum"
The Savvy Traveler is the ideal method to learn the Spanish you need for business success. Whether speaking with associates, a group of managers, or the President of a Spanish or Mexican company, you'll have the right expression to make yourself understood in this fast-moving business world. Communicate effectively with the technical and specialized vocabulary of contracts, banking, sales, budgets, and more. From meetings, to discussions at the office, to working on-the-go, be ready for any business setting when you use Savvy Traveler. Whether speaking with associates, a group of managers, or the president of a French company, you'll have the right expression to make yourself understood in this fast-moving business world. Communicate effectively with the technical and specialized vocabulary of contracts, banking, sales, budgets, and more. From meetings, to discussions at the office, to working on-the-go, be ready for any business setting when you use Savvy Traveler. It's the ideal way to learn the specific words and phrases that will help you go through customs, make a phone call, take a flight or train to another city, ask directions, or tell the taxi driver where to take you. 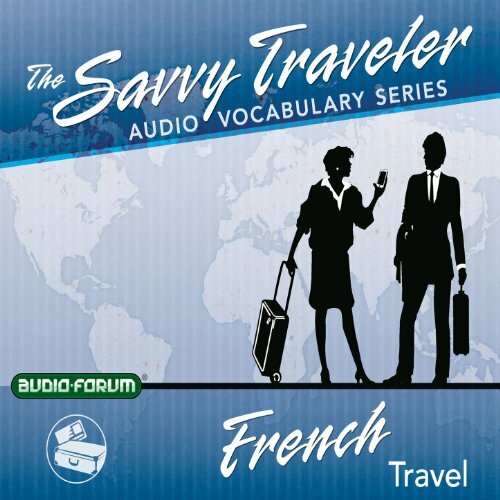 Know the right words and phrases to communicate easily and effectively in French when you use Savvy Traveler. 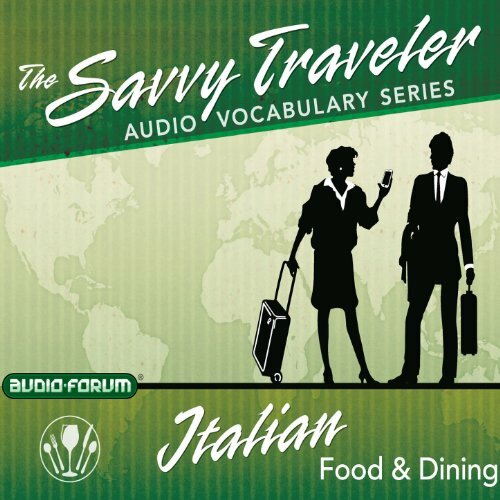 The Savvy Traveler is the ideal method to learn the Italian that will help you maximize your enjoyment of the diverse and vibrant cuisine of Italy. Whether you're dining in a modest trattoria, a country tavern in Tuscany, or even in a celebrated restaurant frequented by the rich and famous in New York, you'll know the appropriate words and phrases to make yourself understood. You can communicate effectively and order with poise in nearly any dining place where Italian is spoken when you use Savvy Traveler. A fast, easy, and effective way to learn the Spanish you need while traveling! 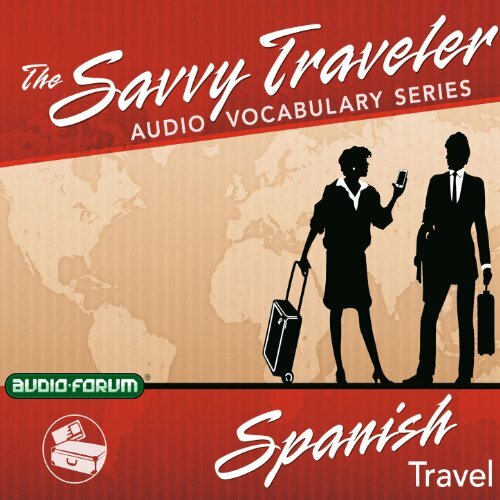 The Savvy Traveler gives you the Spanish you need to make your travels through Spain or Mexico easier and much more enjoyable. It's the ideal way to learn the specific words and phrases that will help you go through customs, make a phone call, take a flight or train to another city, ask directions, or tell the taxi driver where to take you. 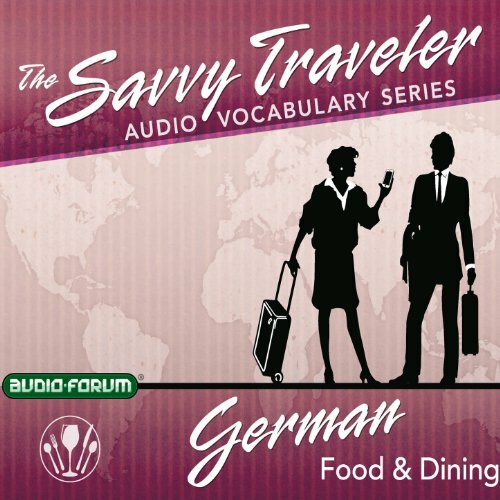 The Savvy Traveler is the ideal method to learn the German that will help you maximize your enjoyment of the acclaimed food and drink of Germany and the neighboring regions. Whether you're dining in a modest cafe, a Bierstube in Bavaria, a country inn in the Vienna woods, or even in a restaurant frequented by the rich and famous in New York, you'll know the appropriate words and phrases to make yourself understood. 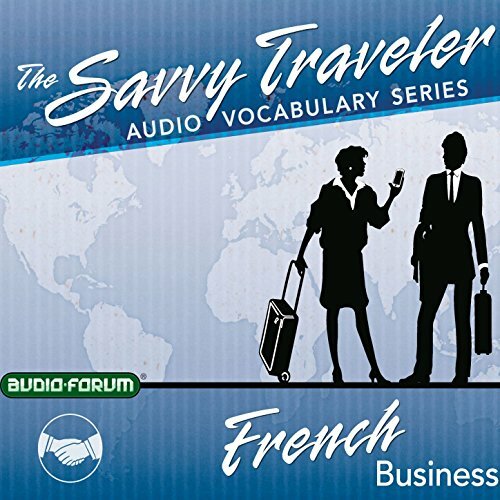 You can communicate effectively and order with poise in nearly any dining place where German is spoken when you use Savvy Traveler. The Savvy Traveler is the ideal method to learn the Spanish vocabulary you need to be a knowledgeable shopper and experience the fun and adventure of shopping in Spain or Mexico. Whether you're visiting an elegant boutique, a pharmacy, an open-air market filled with colorful handicrafts, or the glamorous salon of a famous couturier, you'll know the appropriate words and phrases to communicate easily and effectively.